Packing light is a skill I’m still trying to perfect, but with little gadgets like Braun’s MobileShave it becomes a whole lot easier. About half the size of Braun’s full-sized shavers, the Braun MobileShave (£12/$23.99) is so compact you can squeeze it into any compartment in your backpack or suitcase and you won’t notice the difference. For us guy travellers, that’s awesome. Portability is one of the MobileShave’s plus-points, but versatility is another. You get a “SmartFoil” shaver at the top — built to trim hairs that grow in different directions — as well as a small trimmer for your moustache and sideburns. 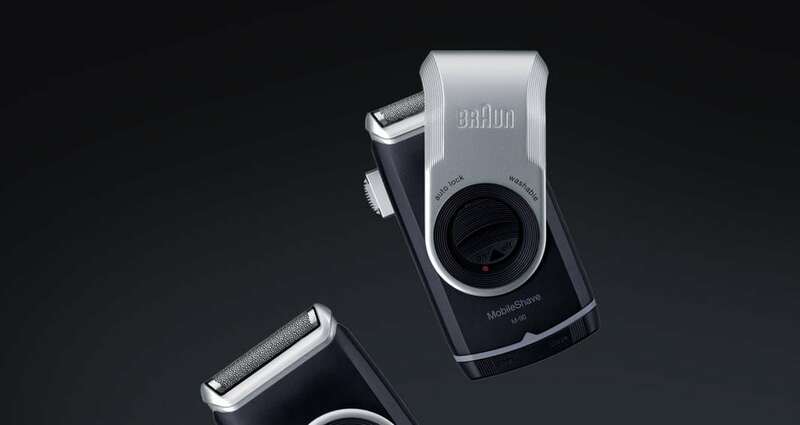 And don’t worry about damaging your Braun MobileShave during your travels, because it has a built-in a twisting cap that protects the shaver. Once you’re done shaving, just wash the MobileShave under water, cover it up and throw it back into your bag. Braun MobileShave works on two AA batteries for about 60 minutes of shaving time, although I haven’t tested this thoroughly yet.